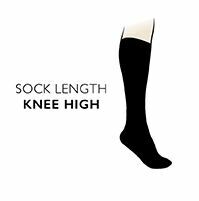 The latest in performance ski socks, Bridgedale Alpine Tour MerinoFusion Midweight Ski Socks are specifically designed for alpine, downhill and touring on skis. The socks feature the trademark MerinoFusion wool and technical fibre construction, which delivers balanced insulation and moisture management. They use extra underfoot cushioning and toe protection, along with low friction ankle and heel areas for easy boot entry. A padded shin guard area offers added protection and comfort, while also giving additional insulation for the exposed calf area. Bridgedale Alpine Tour MerinoFusion Midweight Ski Socks offer all day comfort and performance for both male and female adventure skiers, on or off the piste.